Firmenich recently announced fig as “Flavour of the Year” for 2018 based on the growing appeal for this healthy and fruity flavour worldwide. “A true feel-good flavour, fig is becoming increasingly popular with consumers, with fig-flavoured products growing by more than 80% between 2012 and 2016,” says Chris Millington, President of Firmenich, Flavors. 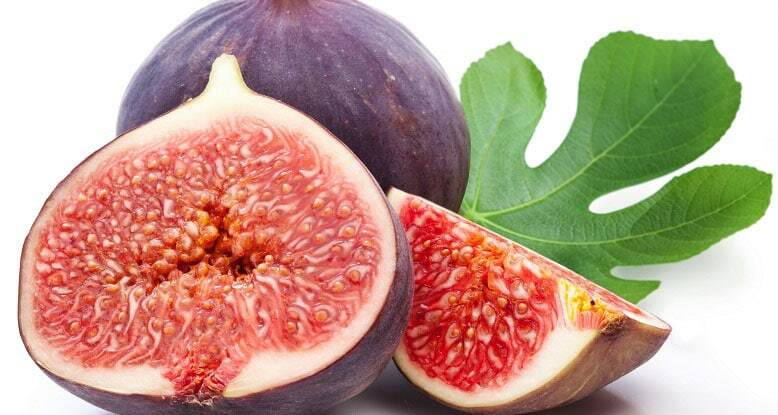 Long touted for its culinary uses as well as its numerous health benefits – including its high fibre content and a variety of essential minerals such as magnesium, manganese, calcium and potassium – fig has surged in popularity in recent years. Firmenich’s trend insights show that fig resonates with consumers who perceive it to represent health and authenticity, two trends that topped Euromonitor’s outlook for 2017, and it believes these trends will continue into 2018. In addition, as consumers look to replace processed sugar with alternative sweeteners, fig has become a common go-to substitute. Already used in jams and cereal, fig has increasingly been making its way into other categories including yogurt, tea, energy drinks, and even chewing gum. In savoury dishes, fig provides a robust sweetness that pairs wonderfully with the salt-forward flavour of cured meats – and menu items such as bacon wrapped-figs, and prosciutto and fig pizza have become ubiquitous. The fig is a study in contradictions. It is naturally sweet, yet extremely complex. It is meaty and gritty, but can also melt in your mouth. “Figs are lusciously sugary with a texture that combines the chewiness of their flesh, the smoothness of their skin, and the crunchiness of their seeds,” says Matthew Walter, Head of Culinary at Firmenich. “Raw figs are tart but make a tasty addition to spicy curries. One of my favourite dishes is anjeer murg (chicken and figs),” he added. Figs are not fruit, but instead a kind of miracle of nature, a mass of inverted flowers and seeds that are pollinated by a tiny wasp that exists symbiotically with it. From a flavour-profile perspective, its versatility is what makes it so appealing, according to Anne-Claire Robineau, Flavorist at Firmenich. “A fig is consumed in different formats, so it provides room for creativity to reflect different facets in top notes: fruitiness of the ripe fruit, green leafy notes of the fresh fruit, indulgent and rich notes of the dried version,” she explains. Fimenich became interested in fig during the Greek yogurt boom, which began in 2010. At the time, flavours connected to the beneficial properties of the Mediterranean Diet had started to grow in popularity. Fig stood out among them for its singular qualities. “Pomegranate, olive, dates, and fig were all on the rise and have continued to gain traction in recent years, but there is something about fig that we feel is special to this moment in time,” says Mikel Cirkus, Director of Strategic Foresight at Firmenich. “Often associated with the universality of true understanding and knowledge, there’s a mystical quality of the fig that people are responding to in a world full of uncertainty,” he continues. From 2012 to 2016, the growth of fig-flavoured products (globally) increased by an astounding +84.3%. Fig is also often associated with the consumer trends of artisanal and craft because it is seen as an ancient ingredient linked to Old World uses. Archaeological evidence for the cultivation of figs goes back as far as 5,000 BC. Though not new, consumer passion for authentic and thoughtful products shows no signs of abating, especially as the world continues its march toward globalisation. Flavours as timeless and elemental as fig will continue to satisfy this desire for something true and unique.